Their thoughtful lectures on life with disabilities are lined with humor, joy and seriousness. 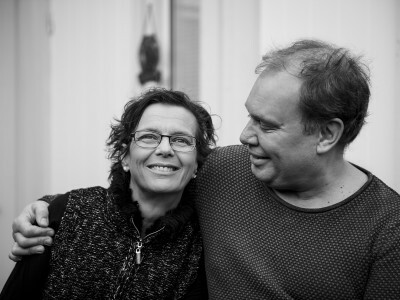 Through BolagsKraft, Marie and Mats run the company Handikapp och sånt – here they tell about their own life experiences in the hope of changing and influencing others. The keyword for our business is that everyone should feel like an asset and a working member of society, regardless of the degree of disability. The aim of our lectures is to work against prejudices and give people an opportunity to change how they look at themselves and others. Without the amazing support and help we received from BolagsKraft over the years, this would not have been possible. We decided to start our company in 2011 and in connection with that, we joined BolagsKraft. We had the experience of running our own business in the eighties and nineties, and it was demanding, it took a lot of time and effort to make it work. Due to our disability and the fact that we are both in a wheelchair, we don’t have the energy or the opportunity to work full time and put a lot of time into paperwork. With BolagsKraft, we can continue to travel in Sweden and do what we are passionate about – without worrying the least of all the hassles of economics. We are grateful for the personal contact and all the help we have received from BolagsKraft over the years. They have been there since the start, supported us and made our work easier. Through BolagsKraft, we have also got the time and opportunity to develop our offer. At the moment we are writing on two books and our vision is to one day be able to open and operate a disability center. Through our company Handikapp och sånt, we want to influence people’s lives and well-being. Therefore, in the future, we will also run our business with the help of BolagsKraft. When he creates art, Peter is constantly looking for new creative expressions. ThroughBolagsKraft, he can continue to devote himself to the thing he loves most – and work fully with his artistry. Two years ago, I started getting more and more opportunities to indulge and focus on my art. But the idea of ​​starting and running my own business was quite honestly, both quite time-consuming and a bit difficult. I was looking for a quick and easy way to manage my billing when my partner told me about BolagsKraft. I decided to give it a try, and since then I have chosen to take care of all my finances here. A clear advantage of the service is just how simple it is to get started sending and reviewing the invoices, but to me the biggest win is something completely different. Being connected to BolagsKraft means that I have the freedom to continue to do what I want and develop in my art, instead of spending time on a lot of paperwork. For me it’s worth so incredibly much. Another advantage of this type of billing is that I also don’t need to think about how to deduct expenses in my business. Instead, I collect all my receipts for the material I bought and send them to BolagsKraft, and they help me take care of the rest. In addition, I know that I can always trust to get a quick feedback if I have any questions and concerns – which is a great help and makes me feel safe in my everyday life. After working for several different construction companies, Torbjörn decided to start his own consturction company. He quickly gained good reputation in the industry, but all the paperwork and responsibility meant that the business was getting large financial problems. Today, BolagsKraft manages all his invoices, wages and accounts, despite that the business has grown and increased in turnover. 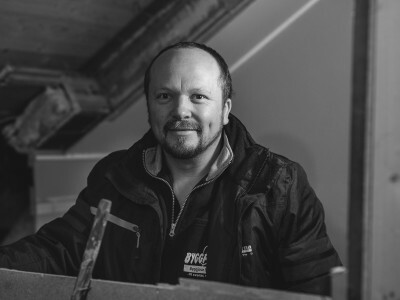 With extensive experience and knowledge in working on various construction companies I felt that it was time for me to do this on my own and I started a private limited liability company. My vision was to give my customers the opportunity to choose which craftsmen they want to use, to keep costs down. Knowledge about building, construction and renovating in a home is something that many people lack. With my knowledge I want to serve as the customer’s project manager, adviser and right hand. My company grew very fast, and with that I also got bigger problems and finally the company went into financial collapse. That was a real eye-opener and I realized what it takes to run your own business, so I started looking around for help. I found BolagsKraft online and became curious, but felt that this was almost too good to be true. Therefore, I asked a friend who works as a lawyer, if he could help me to look at how this with billing thru another company would work in real life. 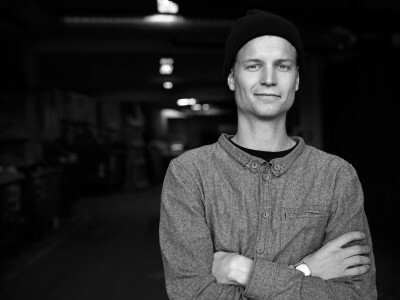 After reviewing everything and realizing that is exactly as good as it sounds, I joined, and through BolagsKraft, I started my new company Byggpressarna. With BolagsKraft I have control of the finances and know that my company’s finances are managed properly. The structure and guidance provided by BolagsKraft makes me feel safe and secure. BolagsKraft manages all accounts, receipts and pays the salaries to my employees. They also help me to start up another construction company called Byggpanik with up to 30 employees. Bolagskraft manages all my finances and also gives me basic insurance for a fee of only 8.5 percent, I think this is generous. I feel very confident that they can support me and my business in the future too.